Auto insurance protects you against financial loss if you have an accident. It is a contract between you and the insurance company. An auto insurance policy is comprised of six different kinds of coverage. Most states require you to buy some, but not all, of these coverages. Because everyone's needs are not the same, it is best to consult your agent to help assess your needs and find the insurance policy that is right for you. Homeowners insurance provides financial protection against disasters. A standard policy insures the home itself and the things you keep in it. General Liability pays losses arising from real or alleged bodily injury, property damage, or personal injury on your business premises or arising from your operations. Business auto policies should also be considered. Ask your insurance agent to explain all the differences and options. Unless you have a true recreational vehicle insurance package, you could be in for an unpleasant ordeal. Without true Recreational Vehicle insurance, your emergency expenses incurred while traveling, or towards your motorcycle of boat, will undoubtedly come out of your own pocket. We are an independent agency focused on helping our clients find the right coverage at a price they can afford. We have relationships with dozens of insurance companies, allowing you to get the right price with the right service. Whether you have the ideal history, preferred companies desire, or a not so perfect history, we find the right coverage, with the best companies. So if you have a not so clean driving record and need SR22 insurance, have had a DUI or been involved in accidents Smiley Insurance can help. Make the latest changes to your policy directly from our website twenty-four hours a day, seven days a week. Use any of our convenient forms located above for policy service directly from your home or office. 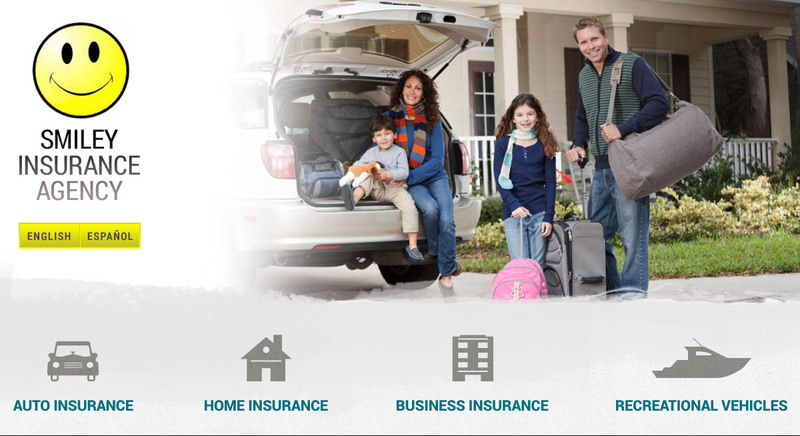 As an independent insurance agent we can offer a personal touch you would expect from your neighborhood insurance agent.